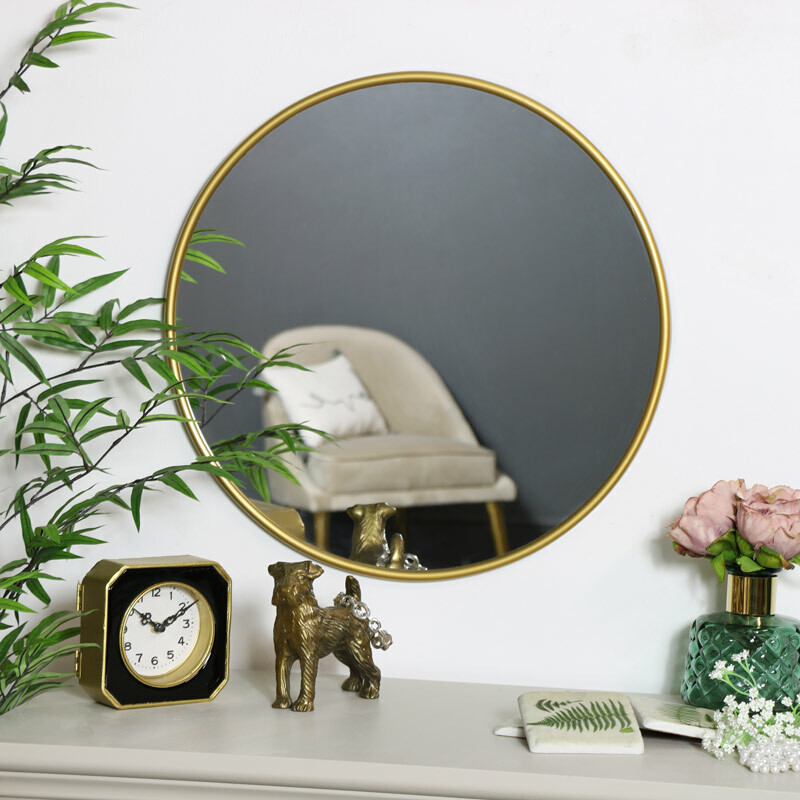 Create a room that oozes charm and style with the addition of this round gold wall mirror. Simple but stylish design that will make just the right statement in the living room or hallway. 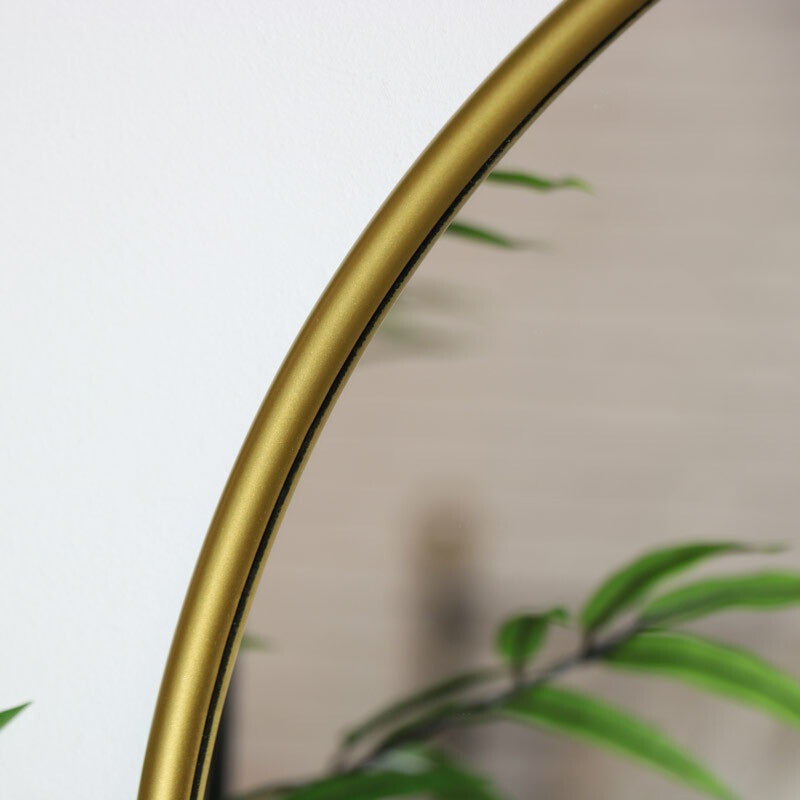 A simple but striking look that will easily fit into a rustic or modern interior, the sleek curves make this mirror just perfect. Edged with a slim gold frame, this will also make an excellent bathroom mirror. With a great selection of mirrors to choose from in a fantastic choice of colours, sizes and finishes.